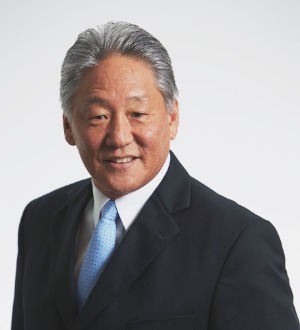 Steve Lim is the Administrative Partner of the firm's Hilo office and is headquartered in the firm's Honolulu office. He has over twenty years experience on the Big Island, Maui, Kauai, and Oahu in all phases of the real property development process. Mr. Lim concentrates in advising clients on real property due diligence reviews, land use entitlements and administrative issues, including litigation of land use and real property disputes. In 2014, The Best Lawyers in America selected Mr. Lim as Lawyer of the Year (Hawai‘i)—Real Estate Law (Land Use & Zoning Law). Real Property Acquisition, Development, and Sale Represents developers and major land owners in all phases of project development. Performs due diligence on complex real estate purchases, including pre-closing review of title issues and zoning and permit compliance, as well as proposed use reviews. Work involves land use entitlements and registration of subdivisions and condominiums, and advising clients on licensing and permitting requirements at the federal, state and local levels. Represents individuals and development entities in the purchase and sale of real property, and in actions to quiet title. Resort, Master Planned Community and Golf Course DevelopmentAssists owners and developers with multi-phased resort and golf course development projects. Obtains state and county zoning entitlements, and advises clients on real property, construction and related areas of the law. Licenses, Permits & Administrative Appeals Assists clients in obtaining a wide variety of licenses and permits from governmental agencies, including liquor licenses, conditional use permits, industrial wastewater discharge permits, shoreline setback variances, site plan review permits, and special management area use permits, among others. Obtains approvals for variances from affordable housing rules, and zoning and subdivision requirements. Represents clients in litigation of administrative appeals before agencies, boards, and the courts.